The key “nuts and bolts” measure of the effectiveness of any training program is the extent to which there is successful transfer of learning back in the workplace – resulting in improved work performance. Our corporate training courses are all designed with a practical focus, and to encourage and support participants to apply what they have learned back to the workplace. There are a number of ways we encourage the application of learning …. Comprehensive learning application plans (short and longer term) are completed by participants upon conclusion of all our courses. Such planning encompasses participants giving thought to obstacles they may encounter to their learning application, and how these can be dealt with effectively. Follow up phone support is readily available to course participants and their managers, to help deal with any workplace application difficulties that may be experienced. 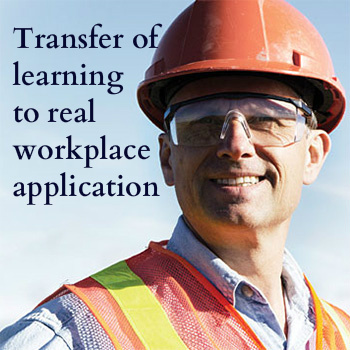 Planned individual contact and additional coaching can be built into the design of the process – as can workplace projects that require demonstrated transfer of learning to the workplace.